Online scams are nothing new. If you are able to use the internet or even access your email, then this is not news to you. However, like any criminal activity the better we get at identifying them or stopping them, the more intricate they become. With the uprise of online dating sites, a new criminal market has burst into the scene – fake online dating sites. Some have quoted this new business as grossing almost 100 million dollars last year with some countries having factories of workers dedicated solely to scamming hopeful people looking to meet other single locals. This article is here to help you learn how to tell the fake dating sites from the real ones and avoid their scams. First and foremost, you have to use your common sense when choosing a website. Look out for names that you have not heard of before or that are very specific in who they seem to be targeting. Next, you have to be cautious of any online dating website that appears to be overtly sexual in both its domain name and the initial profiles presented. These are the most obvious signs of the fake online dating sites, and they are the ones that will tend to give you free access to their database of attractive people looking to meet you. However, once you want to message these new matches, they will then require more information and often payment. Save your money and avoid these scams easily by being cautious and avoiding any suspicious invites from strangers while on other sites. More often than not, fake online dating sites are more subtle than the most obvious indicators and it takes a more in-depth look to know whether they are real. Thousands of fake profiles are created every month by people who are wanting to scam you out of your money. Sometimes these profiles can be extremely convincing, but if you learn the right tips then it is possible to easily identify them. 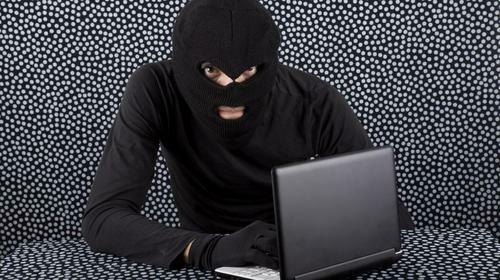 When looking through a hookup website, if you are able to spot many fake profiles, then you can probably conclude that the website itself is fake as well. Identifying fake profiles are often the best way to avoid scams and to know if it is also a fake online dating site. If you spot an overwhelming amount of fake profiles then you can almost be sure that the hookup website is trying to scam you. These are the key indicators on how to tell if an online profile is fake. Photos – This can go two different ways. Either they seem unrealistic and are a photo of a model found online, or they are fairly obscure with the face being hard to recognize in many of them. Age – If you are a woman, be cautious of men that are quite a bit younger than you. Not that it is always true, but it is well known that scammers will go after recently divorced women between the ages of 50-60, posing as a man in his early 40s. Location – More often than not these scams will come from someone who is in the next city, or who is far away and will be back soon. Scammers choose these distances because it allows them to build trust while never having to actually meet in person. Grammar – More often than not, these scammers do not have English as a first language and are using internet translators to communicate with you. A few types are OK, but beware if it turns out to be more than this. Story – After everything has gone well, and you start to trust this person, they may hit you with a heartbreaking story that connects with something you may have shared with them or suggested. Maybe it is the cheating girlfriend story or the sick parent, but be cautious, especially if these stories follow with a request for money or help. The final and quite possibly most important way to avoid scams is by only giving your money way when you are absolutely sure of the website. Save your money until you know that the website can be trusted. Although it can be tough to tell, you need to do some research first so that you can be sure to connect with people on dating sites that actually work. Did you like my article? Don’t forget to read my previous one: Pick a dating site through a site review.